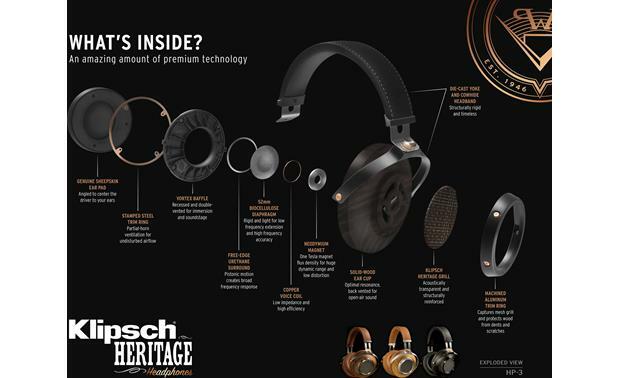 Klipsch certainly knows how to make a first impression. By buying this product you'll earn up to 1200 Rewards points. 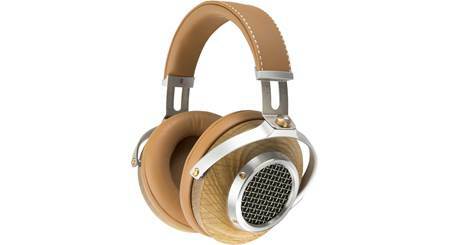 Klipsch certainly knows how to make a first impression. 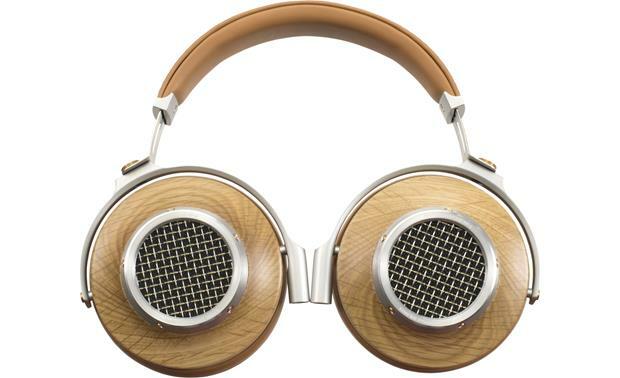 These substantial, hand-built Heritage HP3 headphones arrived at my desk impeccably packed in a large wooden display case. 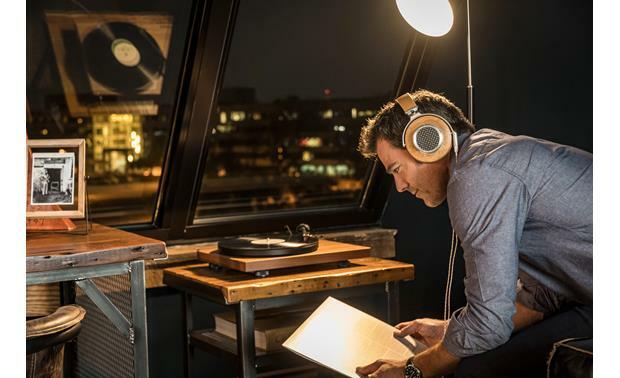 When I pulled them out, I could practically feel the weight of Klipsch's long, storied history — the premium materials, the pride in craftsmanship, the attention to detail. 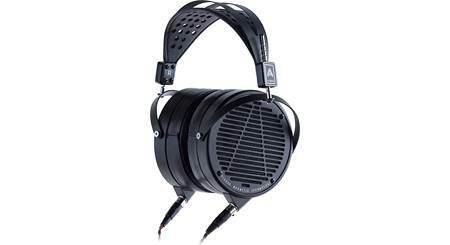 My first listen evoked that old-school, high-end Klipsch speaker sound. Intimate and detailed — like that burst of adrenaline from pushing to the front of the crowd at a concert. 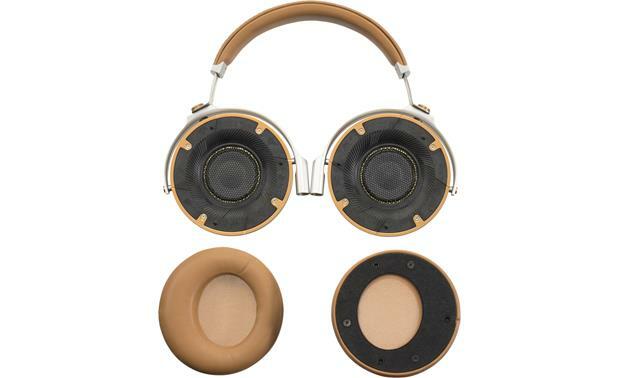 Earcup Width x Height 4.41" x 4.337"
Cord Length 55" + 100"
Overview: The Klipsch Heritage HP-3 over-ear headphones feature the legendary Klipsch sound. 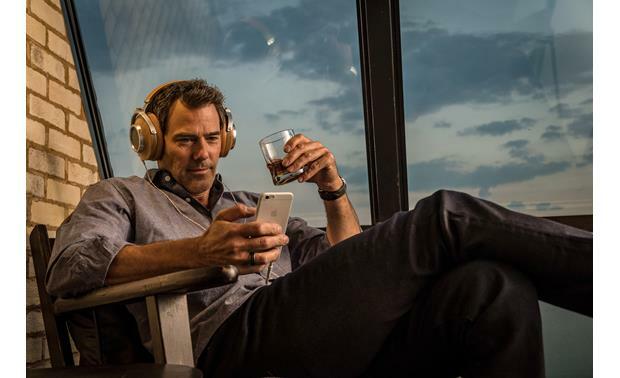 Made from premium materials, the HP-3s has a triple-vented, semi-open design, allowing some ambient sound in to give you the sense that you're listening to a pair of high quality Klipsch loudspeakers. 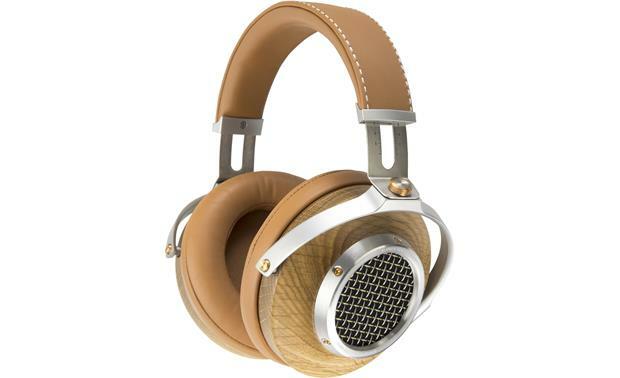 The headphones come with two premium cables, a solid steel headphone stand, and come in a hardwood case. 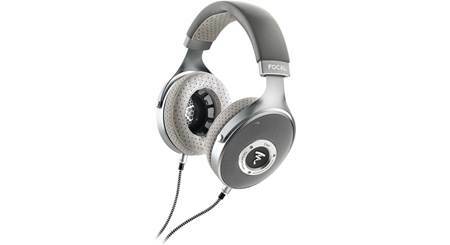 Drivers: The Heritage HP-3 headphones are equipped with a pair of 52mm full-range, free-edge KG-520 biodynamic drivers. The drivers use a proprietary mixture of biocellulose and inorganic fiber to provide superb balance and control. 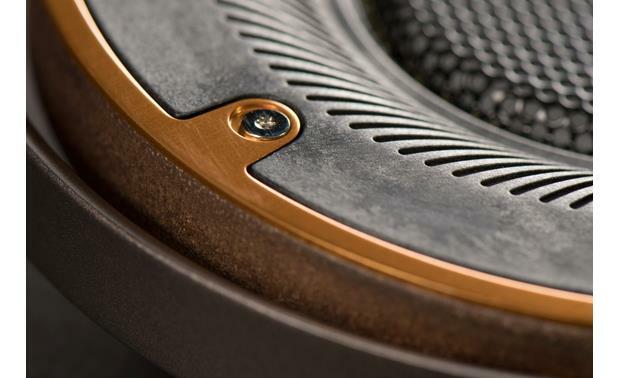 The urethane rubber surrounds prevents the drivers from rocking and tilting, creating distortion. The result is a solid piston-like action that is free from tonal coloration. 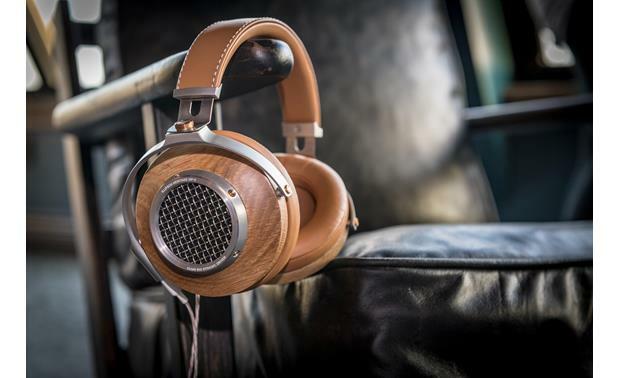 Premium Materials: The HP-3 headphones feature solid milled-wood ear cups with soft, supple sheepskin earpads that age naturally. The genuine hand-stitched cowhide headband sits gently on top of your head, providing a solid foundation. 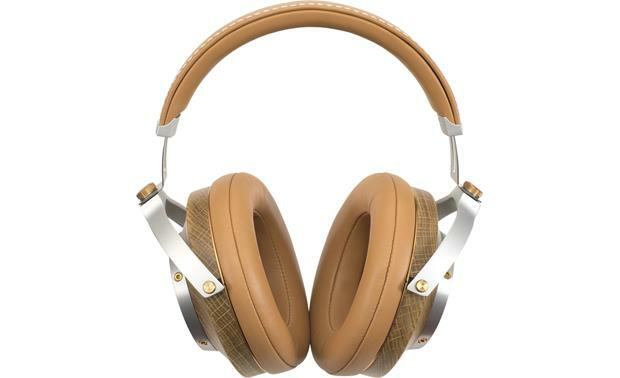 The headphones are hand-assembled, using visible copper nuts and bolts, to give it an industrial look. 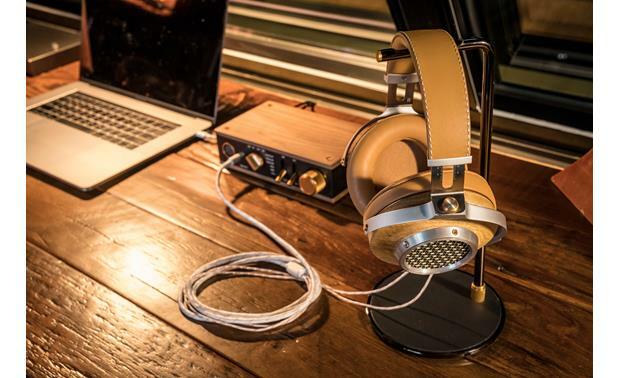 Headphone Stand: The headphones come with a custom solid-steel rod headphone stand for proudly displaying your headphones. 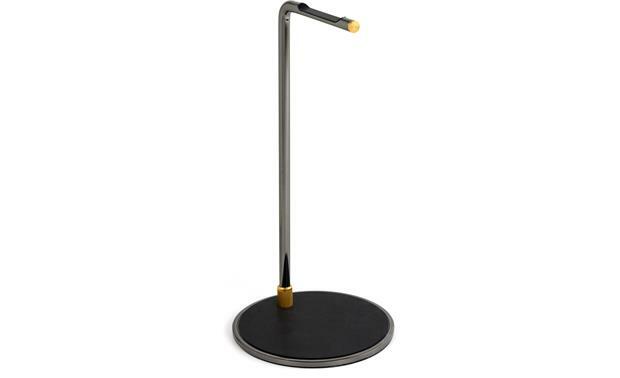 The stand features a 10-3/4" rod and a 5-1/4" diameter base, and weighs 1 pound 9.3 ounces. 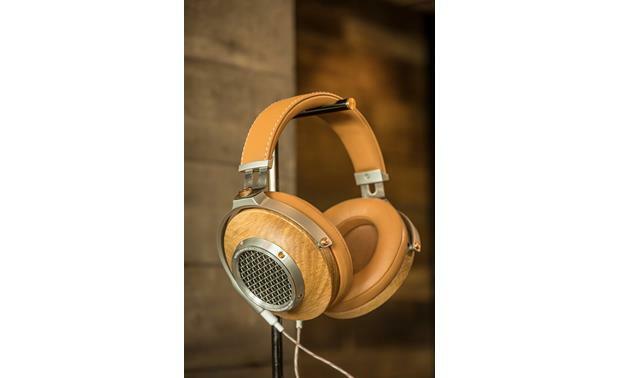 Cables: The Klipsch Heritage HP-3 headphones come with two detachable braided nylon cables that terminate into a 3.5mm plug. 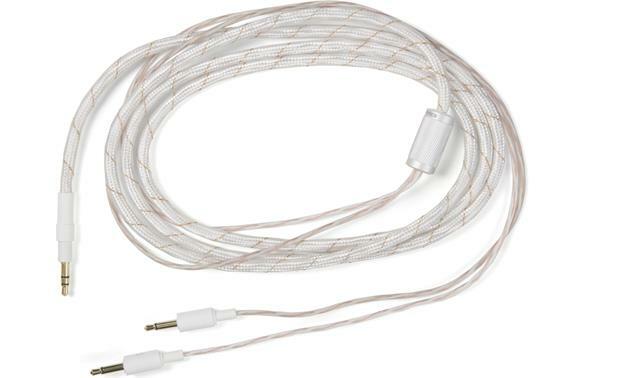 The short cable is 55" (1.37m) in length is designed for use with portable devices, or at your desk. 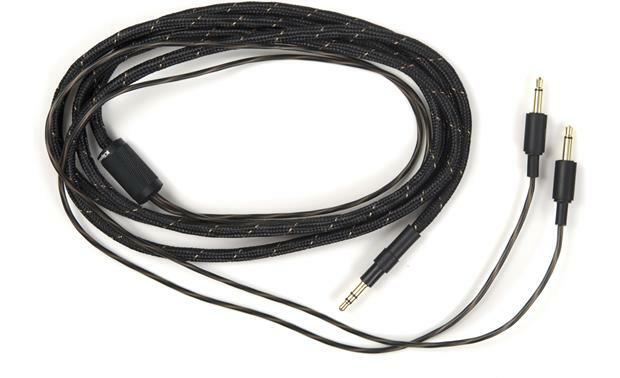 The longer 100" (2.5m) cable can be used for more serious listening sessions with your home components. A custom-fit 1/4" adapter is provided for use with the matching Klipsch Heritage Headphone Amplifier, or other components with a full-size 1/4" headphone output. 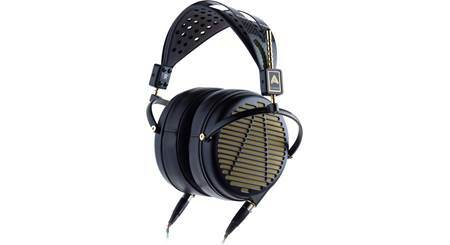 Searches related to the Klipsch Heritage HP-3 Over-the-ear headphones.